Most expats have moved homes multiple times. And more often than not they are living in rented properties if they are making job moves to advance their careers. So, chances are they are no longer attempting to do the end of lease cleaning themselves. Knowing that it will take them more time to clean. And how stressful it may take considering that landlords might claim the job hasn’t been clean properly. Hence, if this sounds like you, then you need to read this article. Because there few things that you need to know to get the best end of lease cleaning Perth services with an affordable price quote from a professional cleaning services company. Renting a property always requires to have a security deposit or a bond. It’s mostly equivalent to one or two months’ rent depending on the agreement. This rent deposit will retain up until the end of lease. To ensure the property is in the same condition. Likewise, the refund will be handed back after the landlord’s inspection of the property. And this usually takes place on the day the tenant is moving out. However, there are cases that most of the expatriates have experience with corrupt landlords. They would say something is wrong with the cleaning only to withhold the security deposit. Often, they will say that they will just solve the problem and deduct the cost from the bond deposit. Well, this problem could be solved if you have professional reliable cleaners to do the end of the lease cleaning for you. You could make sure that getting your security deposit back would not be a problem. As a matter of fact, professional cleaners know exactly the necessary thing to pass a landlord’s inspection. After all, it is the work that they do almost every day. So, having them is the right choice to do and they know the right things to be done. But the thing here is that if you are going to use professional cleaners, how could you be sure you get a good quality of service at an affordable price? Here’s the secret! The top secret to getting the best end of lease cleaning Perth quote is to know how well you specify the job in seeking the quotes. Well here’s the thing! It is indeed a big job to do. It involves much more attention than doing a normal weekly clean-up. Thus, when they give estimated quotes to do the task, they are much more aware that your security deposit is at stake. And if the job doesn’t pass the landlord’s inspection, then they’ll need to come back to fix it. So, it is not the same as normal home cleaning services where there is a certain routine. Furthermore, an end of lease cleaning requires everything to be done well. If you missed even a small corner, get back to it. Everything must be well presented and nothing should be left uncleaned. Yes, everything needs to be clean at a sufficiently high standard. It should be to a point just like the first time you’ve seen it. Before asking for a quote, make sure to let the company know what exactly needs necessary action to be aware of any special requirements of the task. Say, for example, if the power or water is cut off, then a special arrangement is necessary. Because if the end of lease cleaning company doesn’t know every detail of what task to do, they could build in a contingency amount to their quote to cover any unknown surprises. So, you need to make sure that the cleaning company has a comprehensive detail of the things as possible to provide an accurate quote. 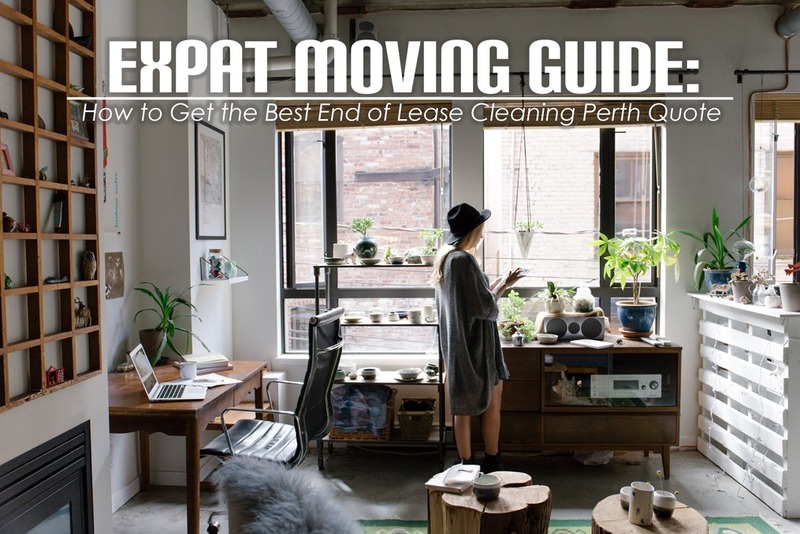 As you have gathered multiple quotes from different cleaning companies, you could now start comparing which quote offers the best end of lease cleaning Perth price for you. However, it is important to make sure that the quotes you are about to compare are alike in terms of the job requirements. Make sure that each quote is based on the exact the same job specifications. In this way, you could avoid the possibility of any of the prices being magnified to cover contingencies. And in this way, you could be sure that the best end of lease cleaning Perth quote will be the affordable price for which you will be able to undertake. Likewise, it could also give you the assurance that your security deposit will be return without arguments with your landlord. Looking for end of lease cleaning company? Well, worry no more! Maid in Perth is right here for you. Call us today and talk with our friendly customer service for more details. Learn the other services offer we have and check which services fit your needs and qualification.